International Conference on Chemical Process and Product Engineering 2016 (ICCPPE 2016) is organized by Department of Chemical Engineering, Diponegoro University. Department of Chemical Engineering Diponegoro University has successfully organized National Seminar on Chemical and Process Engineering for more than 15 years. Requirement of reputable publication and extensive research dissemination have transformed the national seminar into a prestigious international conference this year, International Conference on Chemical, Process and Product Engineering. Nowadays, innovation in chemical process and product development for future human security is very important. Therefore, ICCPPE 2016 triggers the development of innovation in chemical processes and product for sustainable use of sources to promote technology innovation, and to make viable economic activities around technology implementation and products. Implementation of this topic can be seen in general chemistry, process, energy, food, health, agriculture, and product development. 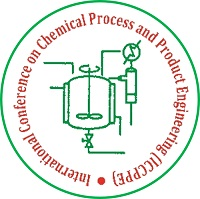 The objectives of the ICCPPE 2016 are to be an international forum for the academia, researchers, students, industries and government in communicating their research and development results on fundamental and application of chemical engineering, to share extensively and exchange of ideas, thoughts and discussions on all aspects of chemical engineering, to facilitate the formation of networks among participants of the conference for improving the quality and benefits of the research. The Abstract Book of ICCPPE 2016 can be downloaded at "Abstract Book" Menu. Please check "SCHEDULE" Menu to view the conference schedule. We are pleased to inform you that Noormans Hotel offers special rate for ICCPPE participants during the conference. All the prices include breakfast. Get the special offer by contacting the Noormans Hotel Reservation now at (024) 86010999.